1 First, get a physical. 2 Set up some goals. 3 Create a structure that’s conducive to your goals and training. 5 Use resources, like a couch to 5k program or a coach. As we enter into autumn and the month of October, I imagine new year’s resolutions probably haven’t come to mind lately. Maybe you said that 2017 would be the year that you would finally lose some weight, commit to a regular exercise routine, or just simply take better care of your health and your body. Maybe life intervened, making it really challenging for you to realize any of these goals, or maybe — like most people — you simply forgot about your goals or lost interest. Let me assure you: it’s not too late! If you’re looking to get your health back on track and to get into a regular exercise routine before the end of the year, even if you start in October, it’ll still be completely feasible to meet your goals. Below, I’ll share some guidelines that will enable you to run your first 5k race, 3.1 miles, before December 31. Remember: just because you haven’t yet realized your goals this year doesn’t mean that all is over for you. Make the decision that you’ll start today, and set up the structure and behaviors that will be conducive and constructive to helping you realize your goals. Assuming that it has been a long time since you’ve been physically active, or regularly physically active, it’ll behoove you to get some face-to-face time with your physician first. Practically speaking, he/she will be able to clear you to exercise, and if anything possibly detrimental comes up, he/she will be able to address those issues with you. While it’s tempting to jump right into training and vigorous exercise, I think it’s better to be safe than sorry and to first get your doctor’s blessing. It’s statistically unlikely that you’ll have some mysterious or as-yet-undetected medical condition that would prohibit you from exercising, but again: it’s better to be safe than sorry. You’ll probably find it helpful to identify some goals prior to beginning your 5k training program. What do you ultimately want to accomplish? It may be as straightforward as completing a 5k. You may also want to make it more specific, such as attaching a time goal to your 5k or striving to be able to walk or run continuously for a predetermined duration of the race distance. Whatever your goal, identifying them and then articulating them — to others, to yourself, and/or in writing — can be helpful and help guide your training. Create a structure that’s conducive to your goals and training. A lot of people often fail at their weight-loss and exercise goals because they’re unrealistic; that is to say, they rely solely on their willpower and motivation to carry them through the arduous process of goal-realizing. People fail to create structures and systems that will be conducive to their goals and training and that will ultimately create the skeleton that will help them day in and day out with their goals. There will likely come a day where you just might not want to go train — and that’s ok; after all, you are human! — but if you have a structure and system in place, you’ll probably be less likely to bail. Structures and systems can look like the following: training at the same time of day every day (such as every morning before work), training with the same person or group of people (giving yourself accountability and training buddies), or even paying for guidance on your training (with the thinking is that working with a coach will not only help you train safely and properly but that you’ll also be under the careful watch of someone whose job it is to ensure that you show up ready to work hard). 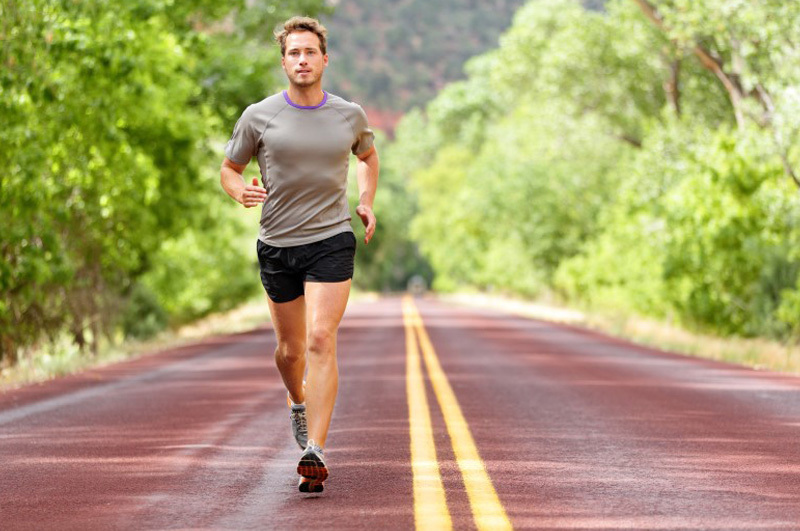 Runners often get injured, unfortunately, and a lot of it comes down to runners getting too far ahead of themselves. The popular saying “too much, too fast, too soon” succinctly explains how runners, especially beginning runners or runners who are returning to the sport after a long time away, do themselves in: by running distances that they’re not yet prepared to handle (running “too much”), running significantly faster than they need or ought to be (“too fast”), and running a ton of hard and fast mileage before their bodies — and their muscular and skeletal systems — are ready (“too soon”). Keep things really easy when you start out and even consider using run-walk intervals to keep you honest with yourself. Run for 1 minute, walk for 30 seconds, and repeat; as you get stronger, and as your endurance and stamina increase, you can lengthen those intervals to include more running and less walking. More than anything, please don’t injure yourself by starting your 5k training going 100 miles per hour. Ease into things. You’ll get in shape in time. Use resources, like a couch to 5k program or a coach. Finally, when you’re working toward running your first 5k before the end of the year, unless you’re already a running coach who’s familiar with periodization, aerobic workouts, anaerobic threshold, and many other kinesiology-based concepts, do yourself a favor, and use some expert resources. There are many reputable “couch to 5k” programs available online, and you may even find some C25k training groups near your hometown who are perhaps also training for an end-of-year 5k. If you really want to do things right, consider even hiring a coach who will be able to put together a training plan specifically for you. Don’t simply think that you’ll be able to hastily slap something together; again, injury prevention is key, and if you don’t know what you’re doing, you’re more likely to wind up hurting yourself. Finishing 2017 with a bang is something all of us ought to do. Regardless of how your new years’ resolutions or goals have fared this far, know that there’s still time to do something to positively affect your health and your body. It is completely realistic to train to complete a 5k by the end of the year, but it’s also imperative to approach your training cautiously and, ideally, under the watchful eye and guidance of someone who knows the ins and outs of running training. Best wishes for a most excellent last quarter of 2017!